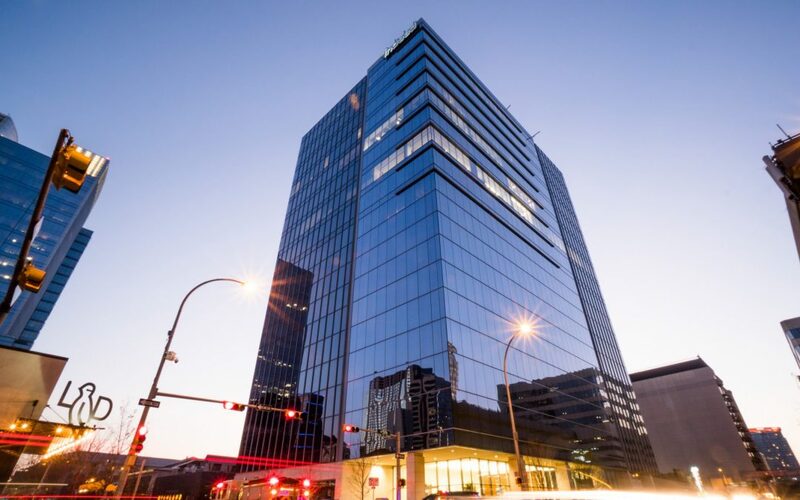 Boston-based Intercontinental Real Estate Corp. purchased 5th+Colorado, adding a trophy office tower to the Austin properties in its portfolio. Lincoln Property developed the 18-story tower in a partnership with Goldman Sachs. Opened in 2016, 5th+Colorado is one of a handful of office properties completed in a sea of residential towers, roughly in line with properties such as Colorado Tower, Frost Bank Tower and the recently opened 500 West Second St. The Austin Business Journal reported earlier this year the sale of the tower could pull down $120M, which would be a record $670/SF in the Austin commercial market. Intercontinental praised the strategic location and strong mix of tenants. Lead tenants include Indeed, co-working space Industrious and Plains Capital Bank, with an available 6K SF restaurant on the ground floor. But the property has not been without its problems, including a widely reported issue of falling debris last March. A subsequent city inspection found no code violations on the property. InterContinental’s properties in Austin also include the Pressler and 5th Street Commons apartments, plus a portfolio of about 500K SF of office space in six properties outside of Downtown. Read more of the full story and similar stories by Kimberly Reeves of Bisnow.